This year’s flu season is estimated to claim 4,000 lives with already 28,987 confirmed cases of influenza throughout Australia recorded through the Immunisation Coalition. If the projection is accurate this year’s flu season will be the worst in a decade with the elderly at particular risk. Australia’s current influenza statistics have nearly reached the halfway mark of last year’s total influenza cases and the height of flu season hasn’t even begun yet. Additionally, seven people have already died from influenza in New South Wales, which currently has the highest numbers of influenza. This week, the Federal Government announced 6 million free flu shots for those at risk. Minister for Health, Greg Hunt, wants to encourage all Australians, including the most vulnerable like people over 65, to get the vaccine before flu season is in full swing. Mr Hunt says, “It’s important to get vaccinated against influenza every year, as the virus changes year to year. 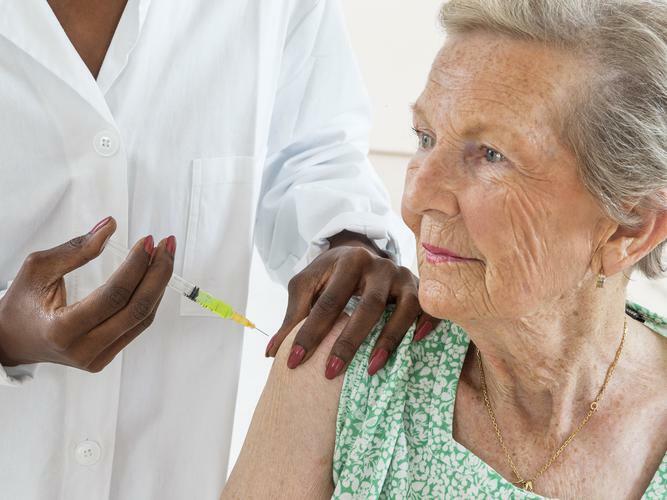 “Elderly Australians continue to experience a high burden of disease with 75 percent of influenza-associated deaths in 2018 occurring in people aged 65 years and older. So far, March’s influenza results are triple last year’s statistics with over 10,000 people diagnosed with the virus. Last year in March, there was just over 3,000 people presenting with the flu. The biggest risk group, people 65 and over, are able to access free immunisations as funded by the National Immunisation Program (NIP). Flu related deaths for the ageing population usually is due to complications from the virus like heart attacks, pneumonia or strokes. Experts have reported that flu activity has been unexpectedly high in March compared to last year. The forecasted 4,000 deaths for this flu season is a massive increase from previous numbers. In 2017, the flu season was named the worst influenza season of the last decade where 1,137 people died from the flu. The following year, 2018, had dramatically low numbers with 73 deaths from influenza. The Immunisation Coalition (IC) have based the estimate of 4,000 deaths for this flu season off of the amount of currently diagnosed cases for this year. Chair of the IC, Professor Robert Booy, says 2018 was a good year with little reports of flu compared to previous years, so the body won’t have the best immunity to a new strain. Professor Booy continued that the ageing population are most at risk of influenza, with symptoms causing other life threatening health problems during and after illness. He recommends all elderly to avoid sick people, to always wash hands and try to cough into the crook of their arm to prevent spreading the virus. Since the strain of influenza is always changing, an enhanced vaccine will be supplied to people 65 years and over that provides better protection than the normal vaccine. The IC has extensive data of people in each state confirmed with positive flu results. New South Wales and Queensland have the highest numbers of influenza cases with 8,552 and 8,116, respectively so far. Other states with higher numbers include South Australia 5,164, Victoria 4,627 and Western Australia 1,589. The lowest numbers for influenza cases are in Tasmania 394, Northern Territory 326 and ACT 219 (Australian Capital Territory). Last year there was a vaccine shortage, which resulted in vaccines only being reserved for people at risk. The 6 million free flu shots will help combat the forecasted bad flu season. From mid-April, these free flu shots will be distributed between States and Territories to protect Australians from the influenza virus. The vaccine covers four different strains of influenza for everyone under 65. The enhanced vaccine for people 65 and over has an additional immune booster to help them through the season. In 2018, there was a record of 11 million Australians getting a flu shots, which the Federal Government hoping for another record increase this year.